Herodotus described Ectabana (founded in 715 BC, now Hamadan in Iran) as the capital of Medes on a gentle hill in a plain in northwest Iran and became the summer residence of the Achaemenid Persians. 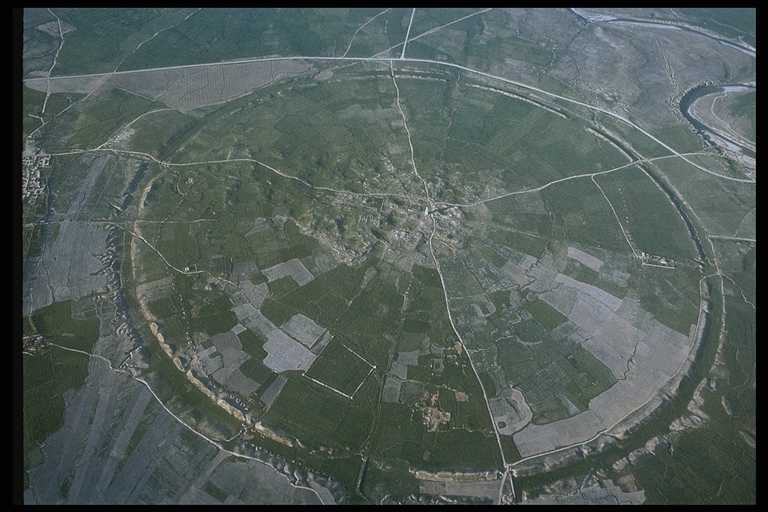 Herodotus described the city as being ringed with seven concentric walls. Each was painted with a different colour to identify it with one of the planets, beginning with white (Jupiter) on the outer wall and ending in the middle with silver for the moon and gold for the sun. 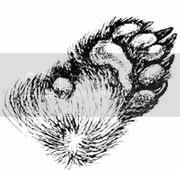 The king and his court were in the centre, lesser officials stayed in the outer rings in order of rank; common folk lived outside. Hatra was surrounded by two round walls, and had a large temple complex in the center. 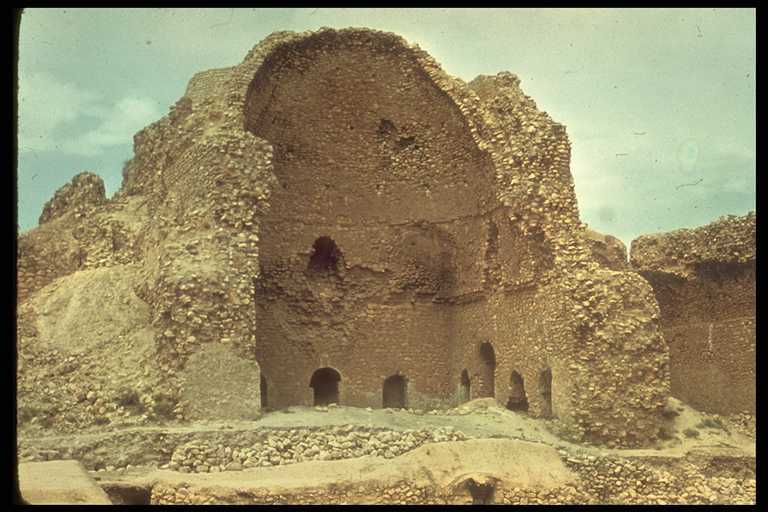 Another Parthian city Darabjerd in southern Iran, had two rock formations within its perfectly circular wall: one a castle, the other a temple. Modern Firuzabad, known as Gor and Ardashir-Khorra (“Glory of Ardashir”) in Sasaian times, is said to have been founded by Ardashir I (AD 224-241), Gor was Ardashir’s stronghold in his revolt against the last Parthian king. 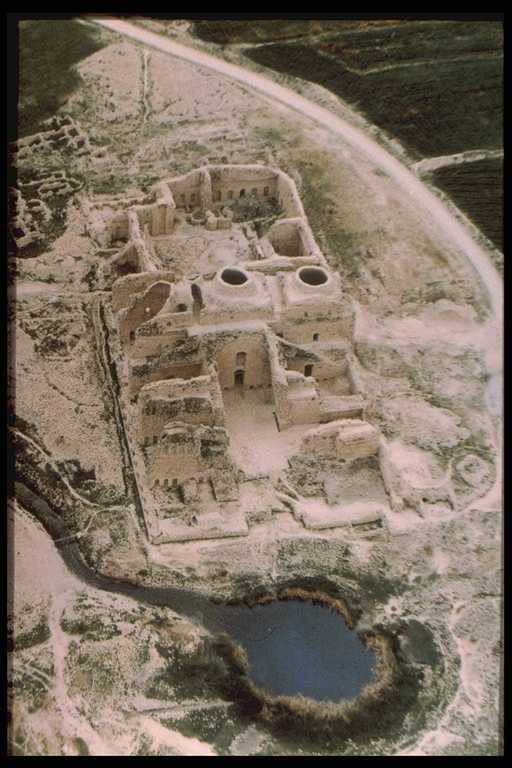 The Sasanian town was a round city encircled by double walls separated by a 35 m wide ditch pierced by four axial city gates. 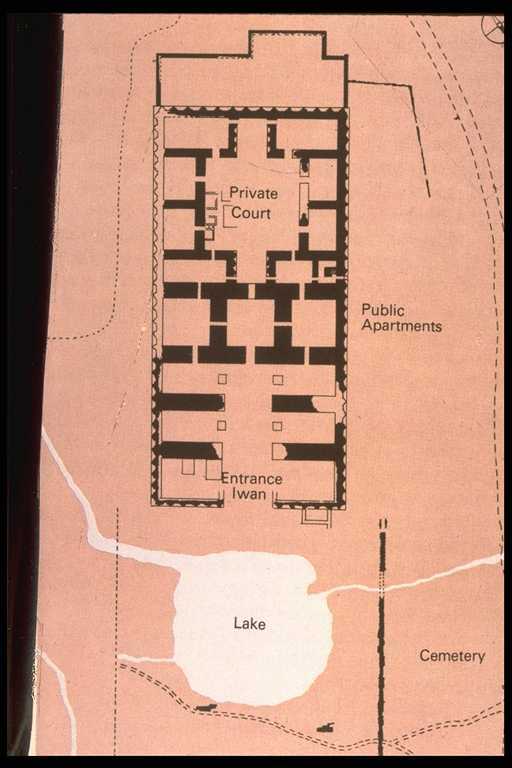 The plan of the town was a perfect circle, 1,950 m in diameter, divided precisely into twenty sectors with radial concentric streets. Kyle is in love with this article about the circular city! He thinks that is the neatest thing and wants to live there. I thought you might want to know ;). I hope your weekend was good!